NVRmini 2, Linux Embedded Recorder | NUUO Inc.
NUUO NVRmini 2 is the lightweight, portable NVR solution with NAS functionality. Setup is simple and easy, with automatic port forwarding settings built in. NVRmini 2 supports POS integration, making this the perfect solution for small retail chain stores. NVRmini 2 also comes full equipped as a NAS, so you can enjoy the full storage benefits like easy hard drive hot-swapping and RAID functions for data protection. Choose NVR and know that your valuable video data is safe, always. Remote Live Viewer (Client) Remote Live Viewer application is used to monitor multiple NUUO servers (NVR, DVR, NDVR and NVRmini 2) simultaneously, featuring PTZ control, E-map and I/O panel. Dual monitor supports up to 128 channels, with 64 channels per monitor. 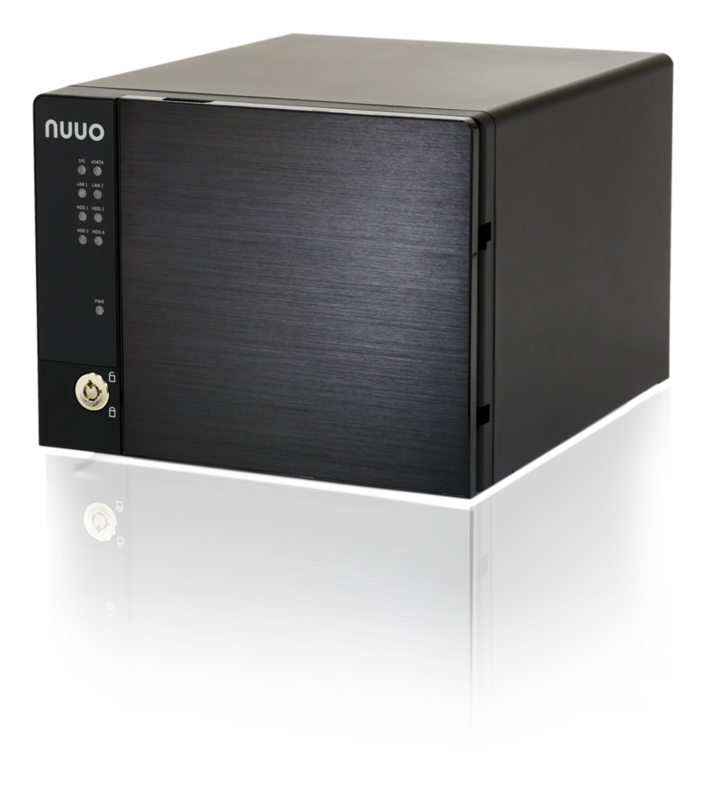 Remote Playback System (Client) Remote Playback application can play up to 16 channels of recording from any one of the NUUO servers (NVR, DVR, NDVR and NVRmini 2) simultaneously. Remote Backup System Remote Backup application can be used to backup recording video and POS transaction remotely from NVRmini 2.
projects with multiple sites. 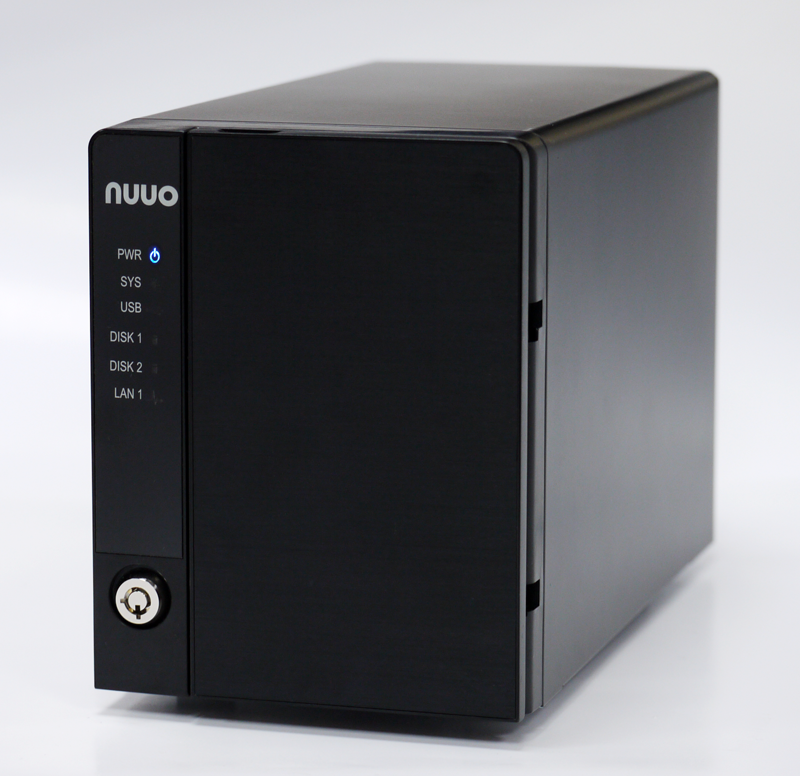 Fully compatible with all NUUO Mainconsole family servers (NVR, DVR, NDVR and NVRmini 2). • POS: NUUO Point of Sale system works on NVRmini 2 by overlaying the transaction text from cash register onto the video image (liveview/ playback). All POS recordings are searchable. • Remote I/O Box: I/O signals of NUUO I/O Box are converted to Ethernet using our NUUO box converter, which enables NVRmini 2 to perform actions such as starting recording when input triggered, triggering output as an event happened, and much more. *2 Live view layout and stream profile may not be saved when next log in on Safari and Chrome. *4. POS configuration is availible on IE only. Server-Client Architecture: Centralizes all video data transaction only via NVRmini 2 to remote clients. With this centralized structure, total camera loading remains at a stable level, thus ensuring good recording quality even when reaching maximum number of remote client access. Open Platform: Support over 2000 IP camera models and video servers (encoders) from 82 brands of major network camera manufacturers. Automatic Camera Model Detection: NVRmini 2 can automatically search for IP cameras in the network (camera should support UPnP protocol or should be implemented its search tool*). For those unsearchable cameras, user can manually insert it. The auto detection function will help the user to find the brand and model of the camera after specifying its IP address. Storage Optimization: NVRmini 2 supports H.264 compression format which helps increasing the storage efficiency to nearly 600% higher than MJPEG and 150% higher than MPEG4. Friendly GUI Recording Scheduler: Graphical user interface to setup recording schedule featuring unique day mode and week mode. Event & Action: 4 camera events including motion detection (if supported by camera), connection lost and camera input; 1 input event from remote I/O box; 3 system events and daily system report by E-mail; 6 instant alarm responses supporting output, Email, E-map popup, snapshot to FTP,push notification on mobile and NUUO CMS alarm system. Online RAID Capacity Expansion and Level Migration: Support RAID 0,1,5* and 10 for maximum capacity or data protection at the HDD level. Point of Sale (POS): POS transactions received through NUUO POS box or Ethernet (TPC/IP client). POS text overlay on live view video and recordings. All recorded POS transactions are searchable in the NVRmini 2 database. I/O Event Control: Control I/O for event detection, instant action and digital output. Various Authorities of Different Kinds of Users: Web Viewer logins to the Recording Server via 4 different user groups: administrator, power user, user, and guest. Each user group has its own distinctive privilege in system configuration, live view camera and playback camera. Synchronization with NTP Server: Synchronize time weekly/monthly to keep the accuracy of recording time. Log System: Hardware Log keeps track of system operation; NVR Log for camera status and user access; NVR Event Log for special events; Export and Backup Log for export and backup history. User Friendly: Provide HELP page on the webpage for quick start tips and troubleshooting. Multiple Live View Channel: Up to 64 channels of remote connections per unit. Remote Live Viewer client supports 64 channels from multiple servers, and could display up to 128 channels with multiple monitors. In addition, Remote Live Viewer client can access and display live video from any NUUO Mainconsole family servers simultaneously. Multiple Playback Channel: Up to 16 channels in web playback client/NUUO Playback System. Monitor Resolution: 800x600, 1024x768, 1200x900, 1280x1024, 1366x768, 1440x900, 1600x1200, 1680x1050, 1920x1080, 1920x1200. Multi-view: NVRmini 2 can duplicate the same live view video onto multiple channels and digitally zoom in to see the details of different spots on cloned channels without losing the original live view video or using extra camera licenses. Stream Profile: Live display multiple camera streams with lower bit rate, while still recording at highest possible quality. E-Map: Show device indicator on map for easily find and track device location. Furthermore, pop up map to point out the device when an event occurred. Multiple Mobile Clients: Support mobile live viewer for iPhone, iPad, and Android. Intelligent Search: Search recorded video for 5 events including general motion, foreign object, missing object, focus loss and camera occlusion. Video Enhancement: Fine tune the image’s visibility, sharpness, brightness, contrast or even grey scale. Evidence Export: Snapshot and print video image in BMP/ JPEG; backup video in DAT; save video in ASF/AVI. The action exporting video or video backup will be recorded in NVRmini 2’s log system. Action Notification: Notify users on camera and system event through sound, digital output, push notification, Email and NUUO CMS alert. Auto Backup: Automatically backup the recorded video of previous dates to a designated FTP server. Manual Backup: Manually backup or delete recordings of any NVRmini 2. Watermark: Protect original recording from alternation with using NUUO's verification tool. NUUO Central Management System (CMS): Ultimate central monitoring solution for grand scale projects and projects with multiple sites. Fully compatible with all NUUO Mainconsole family servers. POS BOX (from serial port to Ethernet): NUUO Point of Sales system works on NVRmini 2 by overlaying the transaction text from cash register or ATM machines onto live video channels. All POS recordings are searchable. Remote I/O Box: I/O signals of NUUO I/O Box are converted to Ethernet through converter, which enables NVRmini 2 to do more sophisticated application, such as starting recording when input triggered, triggering output as an event happened, and much more. APC UPS: Continues to feed the NVRmini 2 power at an event of power outage. Panorama 360Ëš PTZ: Several modes are supported on live view and playback. Generic dewarp: Original mode, Rectilinear mode, Quad mode and Dual-view panorama mode. ImmerVision: Original mode, PTZ mode, Quad mode and Perimeter mode. Please refer to ImmerVision’s website for qualified cameras. Vivotek : Original, Rectilinear mode, Single-view panorama mode and Dual-view panorama mode. Joystick: Joystick support on PTZ cameras and software enabled digital PTZ function are both available in NVRmini 2. Preset points and patrol functions are also available on many camera models.